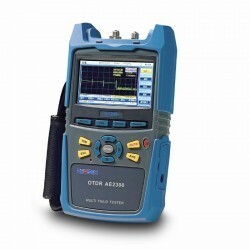 Test telephones, cable tracers, fusion splicers, fiber optics equipment, fiber cleaning tools, AC/DC sources, AC/DC loads, LED testers, Battery testers, electromagnetic field monitoring equipment, radio monitoring equipment, digital signal processing equipment, spectrum analyzers, time-domain reflectometers (TDR), optical time-domain reflectometers (OTDR), modular devices with wide range of modules. Cable and wire tracers, test telephones, Reflectometers (TDR) and accessories. Equipment for work with fiber optic networks, incl. microscopes, lasers, power meters, cleavers, fiber identifiers, visual fault locators etc. The duct sonde family includes a whole range of robust, water tight and powerful transmitter sonds to be used from fiber optic micro ducts to sewers. Sonde diameters are 6.4mm, 9mm and 18mm and tracing frequencies 10kHz, 33kHz and 512Hz. Accessories include push rods and adapters to different thread sizes. Video shows typical tracing depth for the sonds. Comparison table of Vesala duct sondes. Indicated range is typical tracing distance with Vesala CL43 receiver. Maximum range is longer. Other locators, like drill point locator, EMS markers locator etc. Wideband, selective EMF analyzers, personal safety in electromagnetic fields etc. 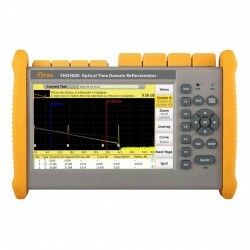 The AE2300 is a high-performance handheld OTDR, designed specifically for installation and maintenance of fiber optics networks. This lightweight and rugged instrument includes a visual fault locator (VFL), enabling the user to quickly locate impairments in the fiber. Deviser Instruments' 4th generation of OTDR, the field-portable AE3100 marks a giant leap forward in fiber-optic measurement performance and utility. 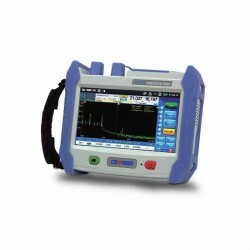 ST612 Cable Fault Locator TDR (Time Domain Reflectometer) is affordable and easy-to-use equipment for metallic cables. 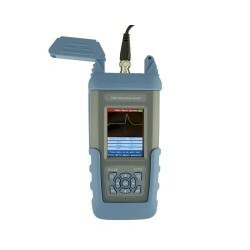 ST612 can measure fault locations, such as broken lines, cross-connection faults, earth leaks, poor insulation and poor contacts up to 8 km distance. Measurement resolution is 1 meter and dead zone 0 meters.